"Of all the world's vocations, the oldest, the most necessary, and one of the most honorable is agriculture." 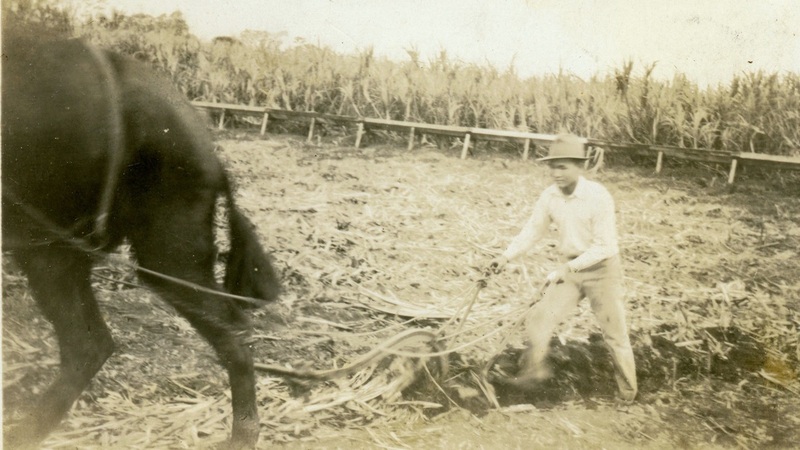 Future Farmers of America played an important role in preparing young men for careers on the Hakalau Plantation. Back row (honorary members): J.M. Ross, E.S. Capellas, A. Costa. Middle row: Adviser T. Maneki, W. Ouye, Juko Miyashiro, Seiko Miyashiro, Samuel Maeka, Isamu Takemoto, Matsuzen Nakamura, Taft Penarosa, Yoshito Sakamoto, Minoru Meguro, Ernest de Lima, Adviser Mrs. Lujan. 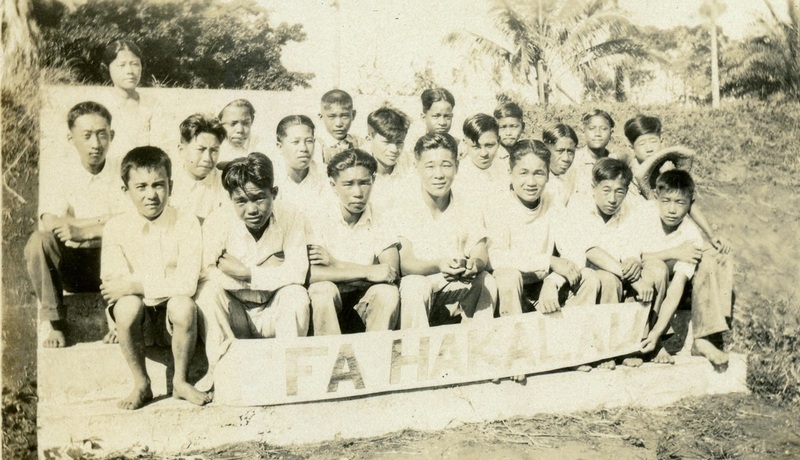 Front row: Edward Maeka, Sadayoshi Furumoto, Takeshi Teruya, Shigeo Isaki, Kuruwanbu Morita, Yoshio Oba, Masaru Morikone, Siberio Santiago, Jikichi Miyashiro. Photos and articles from the Waichi Ouye Collection courtesy of his family. "You and those who follow you, will be putting your brains and your hands to a practical solution of one of the most serious problems confronting Hawaii today: home production for the needs of home consumption and an excess for export, and productive employment for our Hawaiian-born population." 1929. 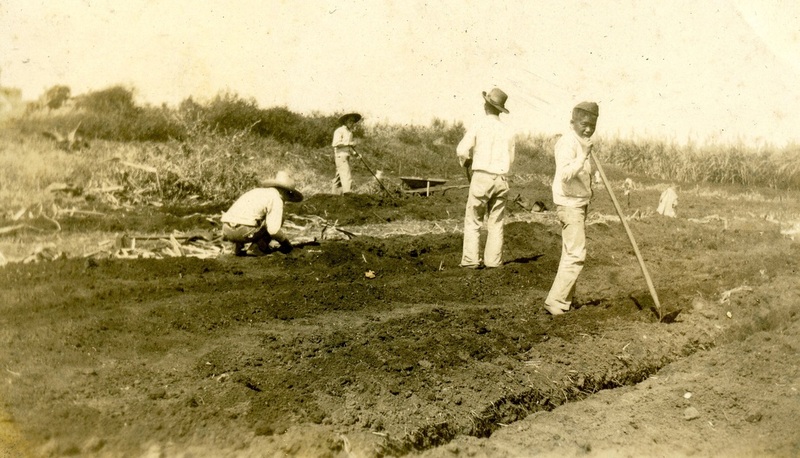 Sadoyoshi Furumoto, Waichi Ouye, Hisaichi Moribayashi, Kuwambu Morita prepare field for planting under the Smith Hughes Training Program. Photo from the Waichi Ouye Collection, courtesy of his family. 1929. These are the Future Farmer of America boys who won the inter-club basketball championship of Hakalau school. Left to right, front row: Takeshi Teruya, Yoshio Oba, Minoru Meguro, captain; Shigeo Isaki, Sadayoshi Furamoto; back row, Taft Penarosa, Kuwambu Morita, Waichi Ouye and Seiko Miyashiro.